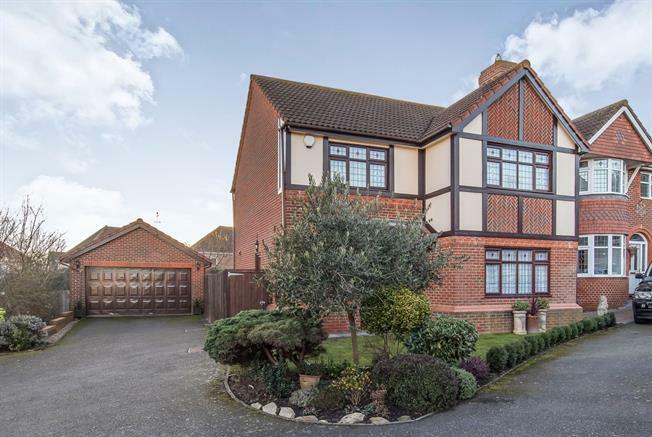 4 Bedroom Detached House For Sale in Sittingbourne for Offers in excess of £425,000. Bairstow Eves are delighted to offer for sale this stunning 4 bedroom detached house boasting a double garage and conservatory. Accommodation comprises on the ground floor of a lounge, dining room, kitchen/breakfast room, utility room, conservatory and w/c. To the first floor are 4 separate bedrooms, 1 of which boasts an en-suite, and a family bathroom. Externally this family house is tucked away at the end of the cul-de-sac and boasts a double garage and driveway to the side, and an enclosed rear garden which is mainly laid to lawn with a patio area.